Yay! I finally had an opportunity to try Red Bamboo tonight, a restaurant I have heard good things about for years but for some reason never went to until now. The menu is a lot more extensive than I expected. For some reason I thought it was all asian-based, but it’s not at all. Although there are plenty of asian options, there are also plenty of other choices including Italian influences, southern, indian etc. and it’s all vegan. 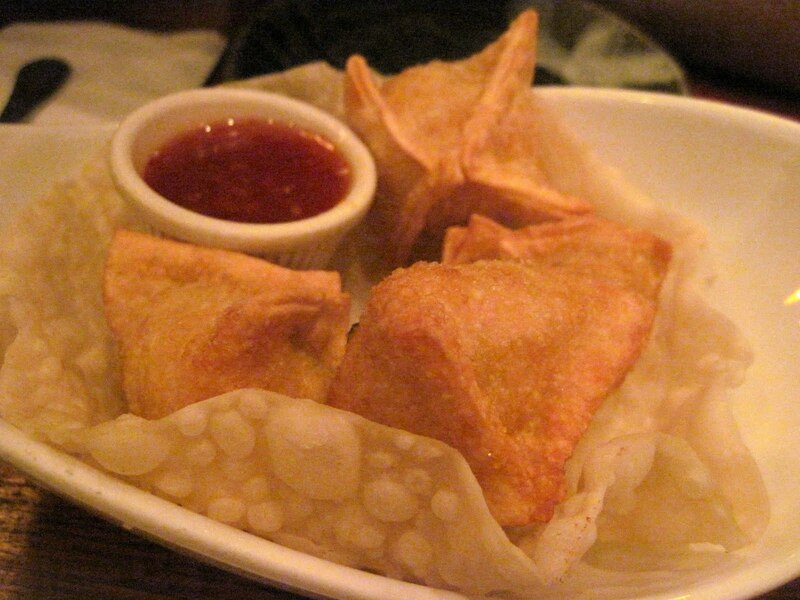 We started with the crab rangoon and though it didn’t really taste like crab, it sure was tasty with a zippy dipping sauce. Not cream cheesy like the ‘classic’ rangoon, but so enjoyable. For my entree I had the mango chicken, which my photo really doesn’t do justice for. 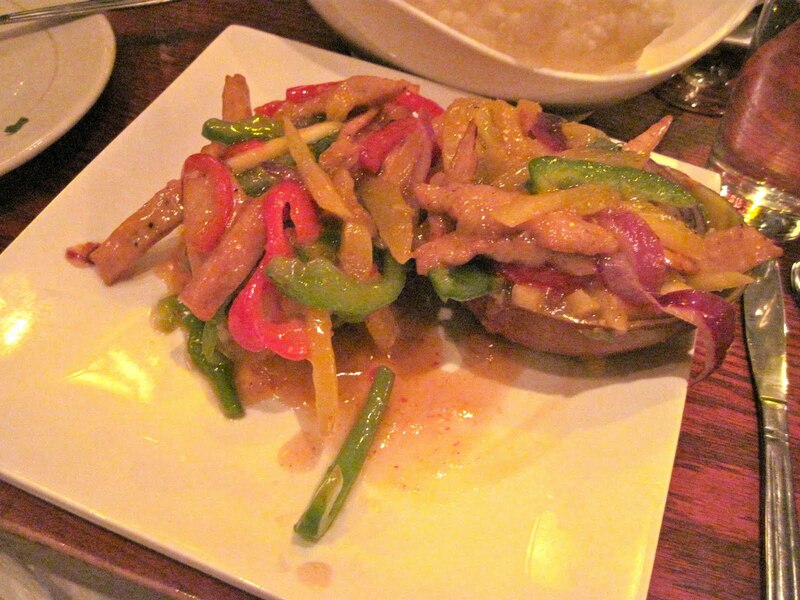 It was really quite pretty, presented in the hollowed out mango shell and served with peppers, onions and strips of mango in a sweet sauce. The soy chicken was a shockingly close replica to ‘real’ chicken and I could totally consider going back to vegetarianism (I was veg for 12 years in my younger days) if I could make it taste like that at home. I had a taste of my date’s oxtail stew, and while we agreed that it really didn’t taste anything like oxtail, and it’s consistency was something from another planet, it too was interesting, complex, totally unique and hearty. 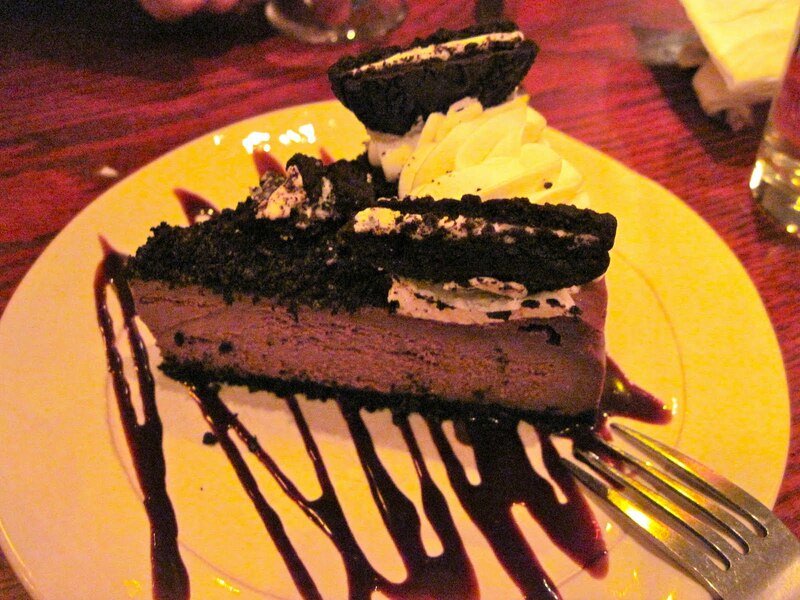 The best part of our meal was the oreo cheesecake. As dense, rich, creamy and amazing as a ‘real’ cheesecake would be, but with zero dairy. Our waitress assured us that it was indeed dairy-free but also that it really wasn’t any less indulgent health-wise than the real thing. In this case, it was worth every forkful but even between the 2 of us we were unable to finish it despite it’s deliciousness. I would absolutely recommend Red Bamboo to vegans, meat eaters and everything in between. They have a real talent for the non-animal, and I think you should let them impress you too!